If you or a loved one suffers from an injury caused by a defective prescription drug, the experienced injury attorneys at Jazlowiecki & Jazlowiecki Law will aggressively pursue your case to get you the highest possible settlement. There are more than 225,000 deaths each year in the U. S. as reported by the National Institute of Health. Prescription drug deaths now outnumber vehicle deaths each year. Defective drug victims deserve to be compensated for their injuries by those who are responsible. If you have a loved one who has been the victim of a defective drug, contact us. 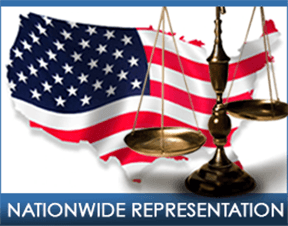 We are available for defective drug investigations and litigation throughout the United States. In 2011, there were 4.02 billion prescription drug medication scripts filled in the U. S. at a cost of nearly $309 billion. Defective drug related deaths now outnumber total number of traffic related deaths each year in the in the U.S.
5% of prescriptions filled each year are incorrect according to one study. Prescription drug statistics show adverse drug reactions is 3 times higher in children than for adults. More than 30,000 Americans die each year from prescription drug abuse and overdoses.